Hatch Homes is a local siding contractor that operates in Clemmons, North Carolina. We provide Clemmons, NC homeowners with installation and replacement services for Hardieboard siding, vinyl siding, windows and roofs. Hatch is the local siding company that is certified, endorsed and recommended by the manufacturer of James Hardie siding. James Hardie Building Products teaches our siding technicians how to properly install hardyplank to ensure that our homeowners qualify for their 30 year not prorated warranty. As a member of a Hardie’s Contractor Alliance Program, the manufacturer will audit our completed job sites, survey our customer base and ensure that those who partner with Hatch Homes receive the best possible siding replacement experience. Hatch is also an elite preferred contractor with Mastic Vinyl Siding. We provide Clemmons, NC homeowners with both installation and replacement of vinyl siding, trim and soffit. Our company is a certified siding professional through the VSI, otherwise known as the Vinyl Siding Institute. 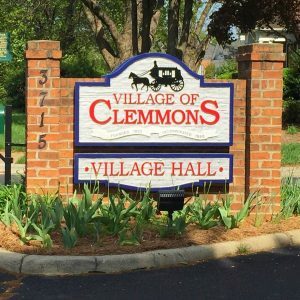 Clemmons, North Carolina is located southwest of Winston-Salem near the neighboring towns of Bermuda Run NC, Advance NC, Lewisville NC, Pfafftown NC, Midway NC and Welcome NC. Clemmons is home of the beautiful Tanglewood Park located in the southwest corner of the town. The city is one of the best kept secrets in the Piedmont region. That being said, many homes within the community are in dire need of exterior remodeling services. Hatch Homes was founded on one core principle. Transparency. Our mission is to provide homeowners in Clemmons, North Carolina with the tools needed to properly plan their exterior remodeling project, including The Hatch Home Visualizer and measuring software. After the project is properly planned, we use a fully transparent approach to ensure that homeowners are receiving the project they want at the price they agreed upon. Contact us today to learn why Hatch Homes is drastically different than any other siding contractor in Clemmons, NC.